Stomata are pores regulating gas exchange in land plants. 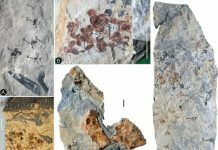 Stomatal morphology has remained largely consistent through ∼400 million years of plant evolution, though cell wall composition has changed. 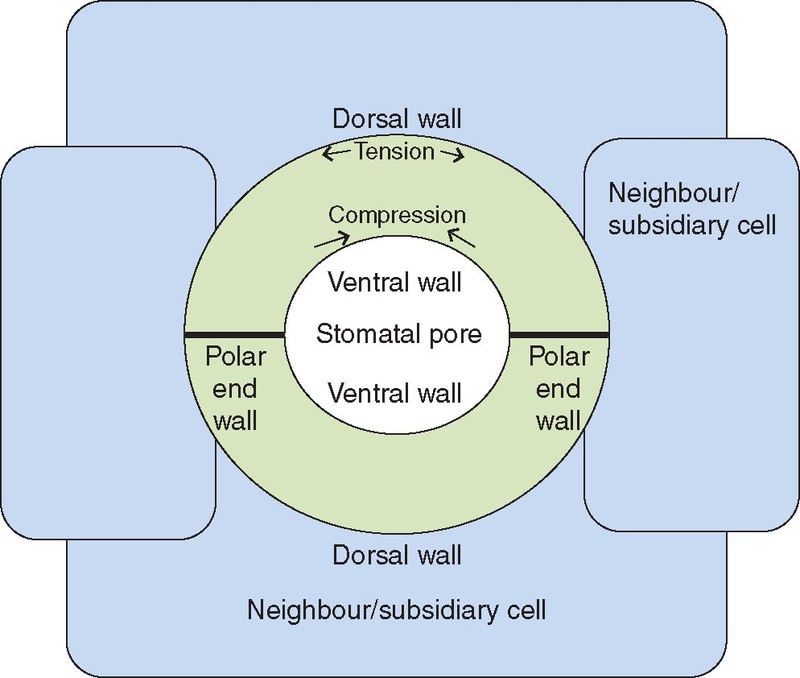 Schematic representation of a stomatal complex. Shtein et al. investigate stomatal cell wall composition within a broad evolutionary spectrum of plants, including ferns, angiosperms and grasses. 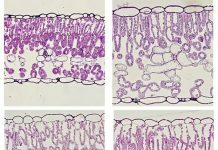 The data demonstrate distinct cell wall patterns in stomata of different phylogenetic groups, suggesting that crystalline cellulose (in angiosperms) may have replaced lignin (in ferns), serving a similar stomatal-wall strengthening function. 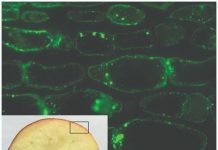 Such taxon-specific spatial patterns of cell wall deposition might be a consequence of differences in environmental selection along the course of plant evolution.